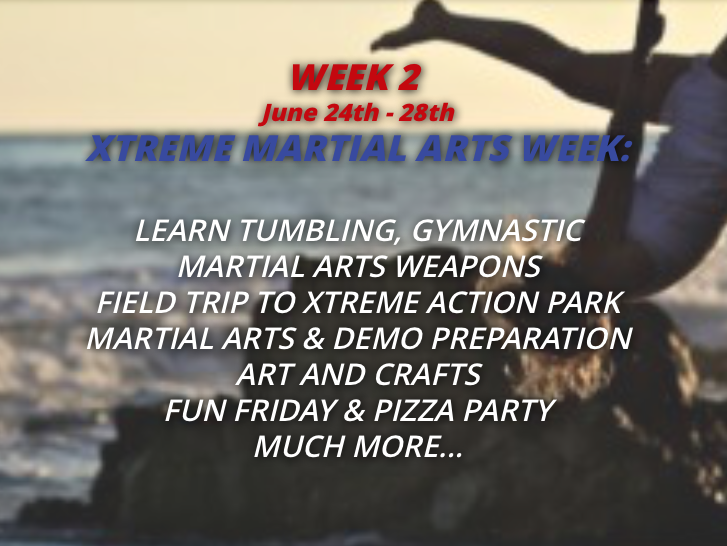 Week long camp with, martial arts, art and craft, bully proof seminar, field trips...! has never been more affordable! 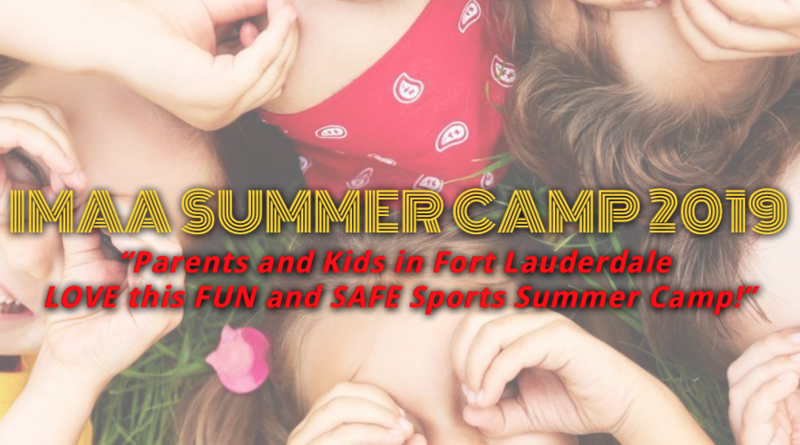 this FUN and SAFE Sports Summer Camp!" 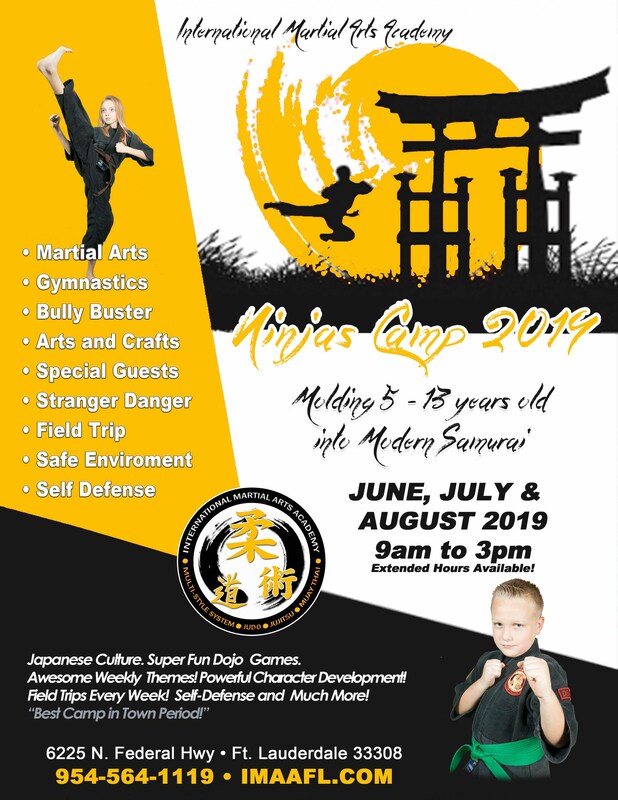 Activities will consist of Martial Arts Training, Gymnastic activities, Games, Social Time, Obstacle Courses and Leadership training. 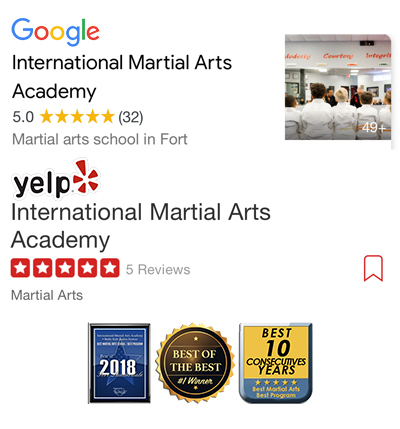 Sign up Early and Save! 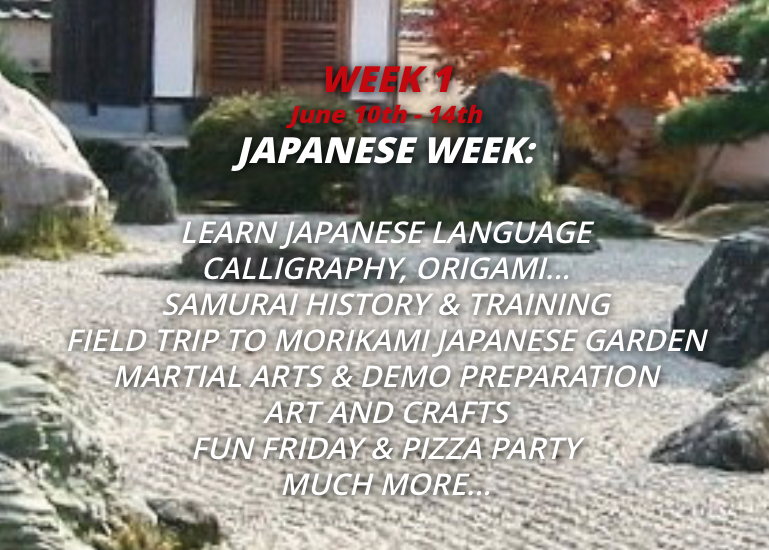 Learn new languages like Japanese, Italian... Art and craft, Origami. Stranger Danger & Bully Buster every week! Field trip every Wednesday! Fun Friday and Pizza Party! The campers are going to prepare a Demo for the parents! 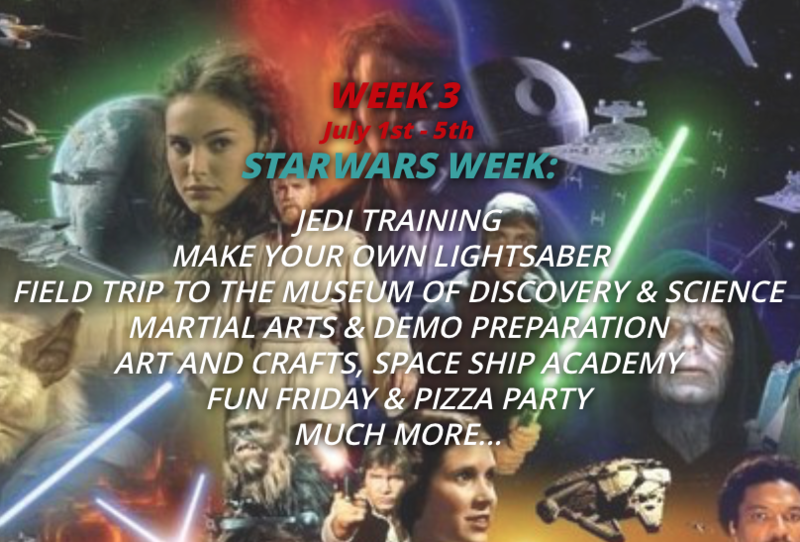 Each Week will have a THEME! Register May 1st Through June 4th and Save $50 per Week. $350 Paid in Full Per Week if Registered During Summer. 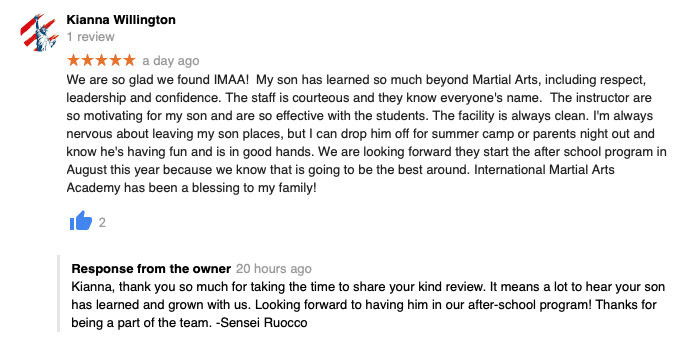 All Camps Held here at Dojo with a limit of #30 kids per week. We will provide Snacks every day and Pizza on Friday's.